If you are looking for a convenient way to manage Java applications on Ubuntu, the solution may lie in the IntelliJ IDEA development platform. An excellent advantage of this option is that it is relatively suitable for beginners, but experienced users will also find it useful. IntelliJ IDEA supports various Java languages, including but not limited to Kotlin, Groovy, and Scala. It has numerous integrated tools that allow you to manage Java applications. If you choose to install the commercial version, you will have a 30-day trial period to try it. After that, you will need to buy a license to continue using the IDE. The good news is that there is a light or “community” variant of IntelliJ IDEA that is completely free to both install and use. 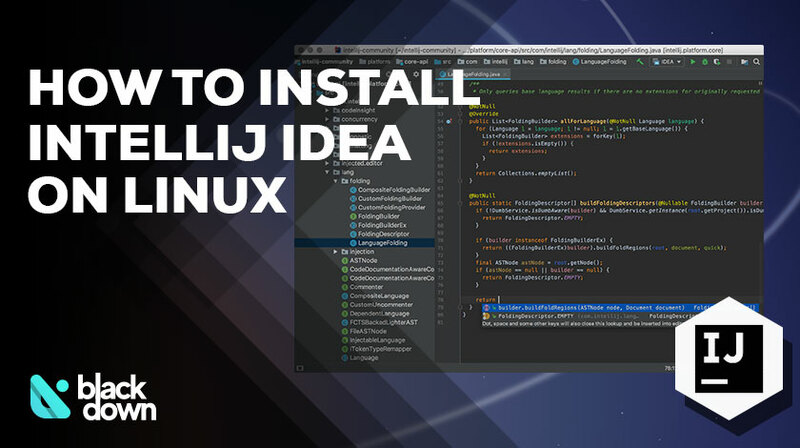 Let’s take a look at how you can install the IntelliJ IDEA on Ubuntu. The file you downloaded is a zipped archive. Go ahead and extract the contents of the archive to the desired folder. Navigate to the directory and start the executable. Once you start the Tool Box Apps, select IntelliJ IDEA to perform the installation. The process shouldn’t take more than a couple of minutes. Linux will complete the installation process in a matter of seconds, and you will be ready to launch the IntelliJ IDEA. As you can see, the installation process of IntelliJ IDEA on Ubuntu is simple regardless of the way you choose. Please note that both versions will require you to register for a free account before you can use the software.